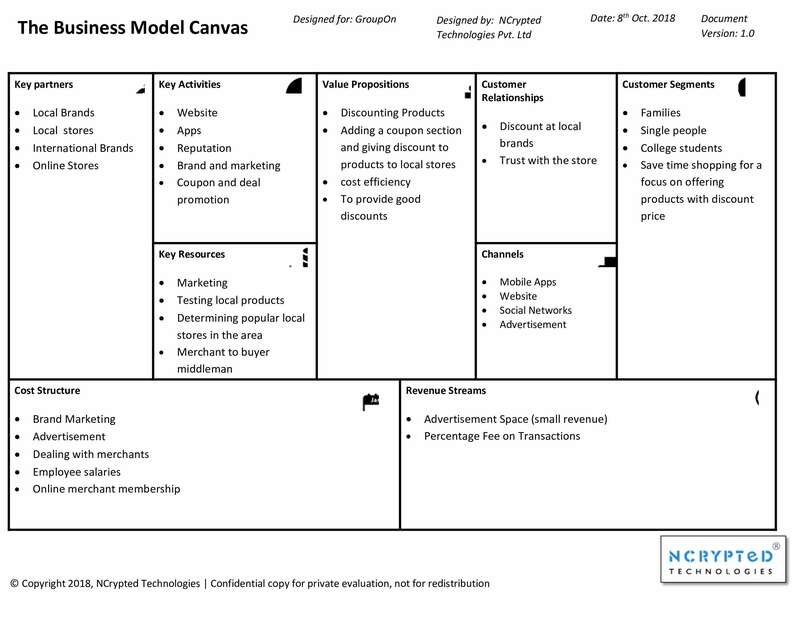 You are at: Blog » Business Models » Explained: How does Groupon Work? Explained: How does Groupon Work? Groupon is an online marketplace where you get different deals every day. It works on the deal of the day concept. These deals can be about a restaurant near you, discounts on movie tickets, beauty salons, deals for a garage visit for your vehicles, dance lessons or even an appointment at a doctor. It is a city based deals service that gives you best deals in your city. The idea of Groupon is to partner with smaller local businesses & provide initial discount coupons to customers so just to avail a significant discount, those customers pay a visit to that place. Groupon does not repeat their deals. The way Groupon make money is that they have different deals for every fresh day partnering with newer places on daily basis. Groupon is basically a powerful online advertiser of your products to get you better sales and brand recognition for a cost of a fee. Founder Andrew Mason claims that the idea of developing Groupon came from the thought of uniting the large mass to leverage the collective power. Soon in 2008, Mason launched the website. Within a year and a half, Groupon was valued at $1 billion, the only other website to reach a billion dollar valuation so quickly was YouTube. Now, let’s see how does Groupon work for users. Groupon app is free to install & sign up. All user have to do is to enter basic information, location & email address. Further, it will send the user an email at the beginning of every day containing best deals of the day around you. These deals offer pretty heavy discounts on local stores & restaurants, sometimes as big as 50%! Groupon makes money by putting a certain price on these deals. If you like the deal, you have to purchase that coupon & either print or show it on your mobile phone to the place where you wish to avail the discount. Normally, the returns you get on Groupon are twice the amount you pay to buy those coupons. The coupons you purchase are valid for about 6 to 12 months. Groupon claims that it is a win-win situation for all three parties; customers, Groupon & the sellers. What makes it a hit is the $10 reward that Groupon offers to its customers who refer these services to their friends via social media. Groupon is so confident of their business model that they commit a certain number of coupon purchases before the seller has to start paying Groupon their commission. If that number is not achieved, a seller does not have to pay anything at all. A Forbes report suggests that in 2010, Groupon received a rise of 82% in daily coupon purchases compared to previous year. That generated a 428% increase in total daily revenue & the answer to how does Groupon make money was that they earned about $40,753 per day that year. Groupon not only guarantees a certain amount of revenue but also promises to get new customers to your businesses. A customer purchasing a deal for a massive discount is not likely to have visited that store or would not have thought of getting that product if not for those discounts. These customers are more likely to revisit. In any case, they are most likely to remember the deal & the store. This impacts on how Groupon makes money & how do they pass it on to the business owners. Groupon claims that their customer satisfaction rate is about 79%. 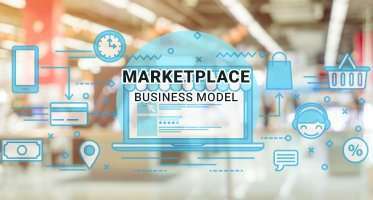 Groupon business model works on a simple concept that once the customers are attracted to the discounts, they are more likely to spend more than the valued deal, is a process worthy of lots of praise? Once business owners partner with Groupon, their executives prepare interesting offers for the customers. They also claim to work with business owners before, during and after the announcement of the deal. They have a whole dedicated Groupon merchant centre to help and monitor the merchants and to convey customer feedbacks. 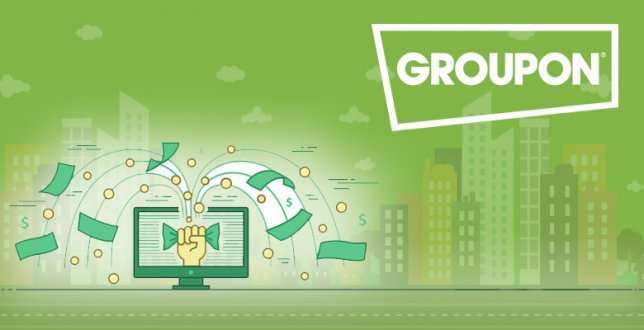 Along with the commissions, how does Groupon earn is also affected by its feature called Groupon to go which is a delivery service offered in limited regions at the moment. At present, mainly food deliveries are offered on Groupon to go. They grew so big by 2010 that the giant Google offered to acquire Groupon for $6 billion which was immediately rejected by them & to make a bold statement further, Groupon launched a series G investment of $950 million which significantly increased the value of the company. Groupon’s rapid popularity can be determined by the fact that in 2016, the company sold their one billionth coupon. Amidst continuous struggles, in 2017, the company announced a profit for the first time in 3 years. To address the question of how Groupon makes money, they released year ending report on December 31st 2017 and as per that report, they made revenue worth $2.84 billion and a net income of $28.6 million. A theory also suggests Groupon make money in a way is that customers are likely to spend more than the actual deal at the store when they go to avail the discounts. Once they believe that they have saved a lot of money in initial deals, they are likely to spare that amount for further purchases. This is purely for the business owners’ benefits and this is how Groupon works in the favour of them. One of the most stable sources of revenue for Groupon has been the restaurants. It is obvious that people may need other products once in a while but they are going to need food at least 3 times a day. A close second is travel business, especially hotel stays. The way Groupon works with travel companies is that the margins are pretty good in the travel & hospitality business so they can afford to give massive discounts on that. At one point, Groupon realized that many people bought the coupons but never used them. They had a set expiry date for every deal, commonly 3 months. In some deals, it exceeded over 6 months as well. But a lot of people forgot that they even purchased a deal from Groupon. In that case, since the business owners never delivered anything, Groupon was not bound to pay them. They set a code for every deal & at the end of the decision period, they would tally the codes to determine the number of deals that went through. This impacted massively on how Groupon makes money. Even if 20-25% people forgot to or didn’t redeem their coupons that resulted in a huge chunk of money for Groupon. Obviously, this loophole didn’t last long as merchants asked to not consider the unredeemed coupons. How does Groupon Work With The Merchant? So, how does Groupon work with merchants? Here, Groupon also offers sponsored deals. This means that those who sponsor an extra amount (more than the agreed commission), will feature more on the daily deals. This is only done on the invitation basis. If Groupon thinks a certain store or a place is getting more & more deals, they offer that place to get featured more in exchange for some fees. A hidden factor is a time. Groupon does not have to pay to the merchants till the deal expires. Very smartly they keep an expiry dates for about minimum of 3 months from the purchase date of the deal. In some cases, the deal could have an expiry of a year. Adventure sports & doctor’s appointments generally have longer expiry dates. This means that Groupon gets the money for that deal, but does not have to pay until the customer uses it. So in the meantime, they are reportedly investing a lot of money in the liquidity. The quest for getting cheaper deals is never-ending. Groupon is making the most out of this lust. The future depends on the kind of deals they are able to offer. Now that everyone can reach out to everyone, the competition is going to make it difficult for Groupon work about how it works. Reports suggest that the founders are pitching acquisition propositions to many giants. This concept of selling fresh deals will surely do wonders with a giant. So, it was a complete insight on Groupon. Are you thinking to build your own multi-vendor, multi-brand and multi-store website like Groupon? Take a look at a customizable ready-to-go Groupon clone script for your daily deals startup. ← Ultimate Guide: How Does DoorDash Work? There are cases when the deals purchased on Groupon aren’t redeemed on the merchant’s store. Groupon doesn’t share the revenue earned through these un-redeemed deals with the partner merchant. so if out of 100 deals sold by Groupon, only 70 were redeemed.and that’s how it makes money! informative blog to share.